Seals and Crofts were an American soft rock duo made up of James “Jim” Seals (born October 17, 1941) and Darrell “Dash” Crofts (born August 14, 1940). They are best known for their Hot 100 No. 6 hits “Summer Breeze” (1972), “Diamond Girl” (1973), and “Get Closer” (1976). Both members have long been public advocates of the Bahá’í Faith. The duo disbanded in 1980. They reunited briefly in 1991–1992 and again in 2004, when they released their final album, Traces. Jim Seals and Dash Crofts were both born in Texas, Seals in Sidney and Crofts in Cisco. They first met when Crofts was a drummer for a local band. Later, Seals joined a band called Dean Beard and the Crew Cats, where he played guitar; later on Crofts joined the band. With Beard, they moved to Los Angeles to join The Champs, but the two did so only after the group’s “Tequila” reached No.1 in 1958. Seals also spent time during 1959 in the touring band of Eddie Cochran. Seals had a composition (“It’s Never Too Late”) recorded by Brenda Lee in 1961, which featured as the B-side of her U.S. Billboard No.6 single, “You Can Depend on Me”. “It’s Never Too Late” nevertheless reached No.101 on Billboard and No.100 on Cash Box (week ending 8 April 1961) in its own right. In the U.K., the sides were switched when the single was released, but the single failed to make the U.K. singles chart (at that time only a Top 50 listing). In 1963, Seals, Crofts, Glen Campbell, and Jerry Cole left The Champs to form a band named “Glen Campbell and the GCs” which played at The Crossbow in Van Nuys, California. The band only lasted a couple of years before the members went their separate ways. Crofts returned to Texas and Seals joined a band named The Dawnbreakers (a reference to The Dawn-Breakers, a book about the beginnings of the Baha’i Faith). Crofts eventually returned to California to join The Dawnbreakers and thus both Seals and Crofts were introduced to and became members of the Bahá’í Faith. Seals and Crofts are longtime adherents of the Baha’i faith. A number of their songs contain Baha’i references, including passages from Baha’i scriptures. When they appeared in concert, they often remained on stage after the performance to talk about the faith while local Baha’is passed out literature to anyone interested. After the failure with The Dawnbreakers, the two decided to play as a duo, with Seals on guitar, saxophone and violin, and Crofts on guitar and mandolin. They signed a contract with the record division of Talent Associates (TA) in 1969 and released two LPs, of which only the second reached the Billboard 200 chart, peaking at No. 122 in October 1970. Crofts married fellow Dawnbreaker Billie Lee Day in 1969 and Seals married Ruby Jean Anderson in 1970. The pair signed a new contract with Warner Bros. Records in August 1971. Their first album with their new label did not break into the charts, but their second album Summer Breeze charted at No. 7 in 1972. The record sold over one million copies and was awarded a gold disc by the R.I.A.A. in December 1972. The duo played at the California Jam festival in Ontario, California, on April 6, 1974. Attracting over 200,000 fans, the concert put them alongside 1970s acts such as Black Sabbath; Eagles; Emerson, Lake & Palmer; Deep Purple; Earth, Wind & Fire; Black Oak Arkansas; and Rare Earth. Portions of the show were telecast on ABC Television in the US, exposing the duo to a wider audience. The twosome also recorded songs that appeared in the feature films One on One (1977) and Foolin’ Around (1980), as well as the song “First Years” that was the theme song to the debut season of the television series The Paper Chase. In 1980, after a long and successful run of recordings in the 1970s, the two were dropped from Warner Brothers. As a result, they decided to take a hiatus from music. During the 80s, despite their no longer being officially together as a duo, they continued to appear at several Bahá’í gatherings, including a world peace concert at the Bahá’í Center in Los Angeles for the film and music community in February 1989. After this, they made the rounds of Canadian radio stations and some American talk shows to promote the Bahá’í Peace Document. Crofts lived in Mexico, Australia and then Nashville, Tennessee, playing country music and making occasional hit singles. Crofts currently resides on a ranch in the Texas hill country. Seals moved to Costa Rica and has lived on a coffee farm off and on since 1980, as well as in Nashville. 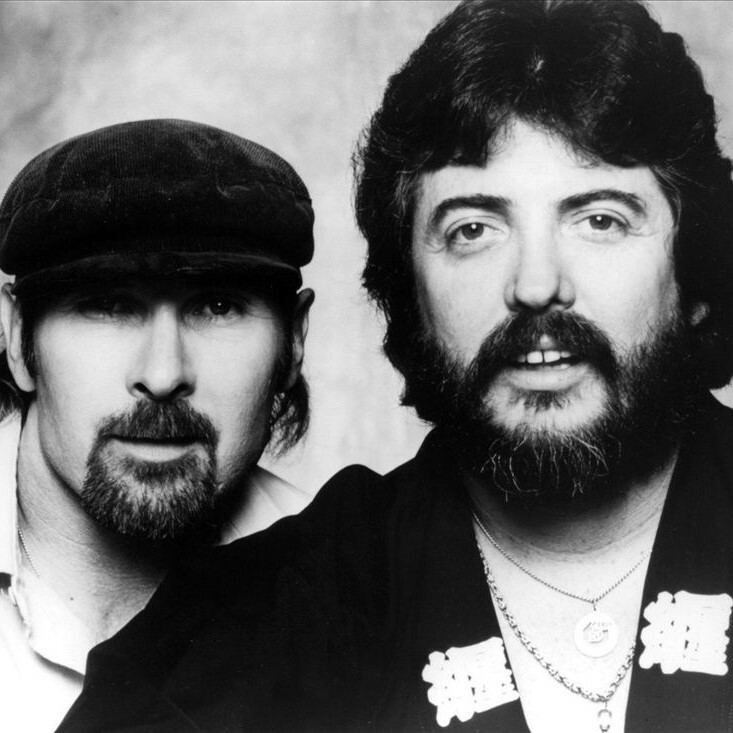 In 1991 Seals and Crofts officially reunited and made concert appearances once again until disbanding again a year later. In 1998 Crofts released a solo CD titled Today, which contained some re-recordings of Seals and Crofts material. In 2004 the duo reunited again and recorded their first new album since 1980, released as Traces. In the early 2000s up to 2008, Seals embarked on various tours with his brother Dan (“England” Dan Seals, of England Dan & John Ford Coley), billing themselves as Seals & Seals and performing their successful hits from Seals & Crofts and England Dan & John Ford Coley, Dan’s hits from his solo career, and a few original songs written between the two brothers. A few shows featured Jim’s sons Joshua on bass guitar and backing vocals and Sutherland on electric guitar. In December 2010 the bandmates’ daughters Juliet Seals and Amelia Crofts, along with Genevieve Dozier, daughter of Seals & Crofts engineer Joey Bogan, formed a musical trio called The Humming Birds. They released their eponymous EP The Humming Birds in September 2012. Seals and Crofts were instrumental in England Dan & John Ford Coley becoming adherents to the Baha’i Faith, some 28 years before Coley became a Christian. Dan Seals died of cancer in 2009. At the time of his death, Dan and Jim Seals had been working on songs together. The status of those recordings is unknown.